The SB-4 blends, mixes and stirs dressings, herb oils, sauces, thickenings, soups, desserts, milk shakes, juices, etc. Ceado Ideal for preparing 1 or 2 servings of frozen cocktails. You can select working speed and pulse mode. Two-section lid to add ingredients during mixing. Clear 0.9L polycarbonate jug. 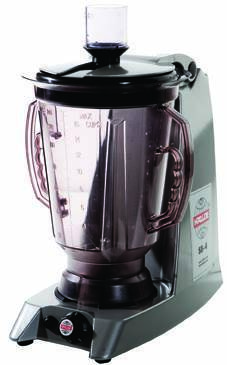 Ceado Blender for the preparation of frozen drinks and smoothies. The 0.9L jug with a triangular section is ideal to pour ice based cocktails which are more dense and compact. You can select working speed and pulse mode. Ceado The B185 makes it versatile and modular for the preparation of smoothies and cocktails. The shape of the 1.5L pitcher reduces working times and the brand-new easy pad allows you to select the ideal mode with easier cleaning and less wear. Ceado The same features as model B180 except for the 0.9L container, which is in stainless steel. The switch and the pulse option are used to select the working speed as well as the pulse mode. 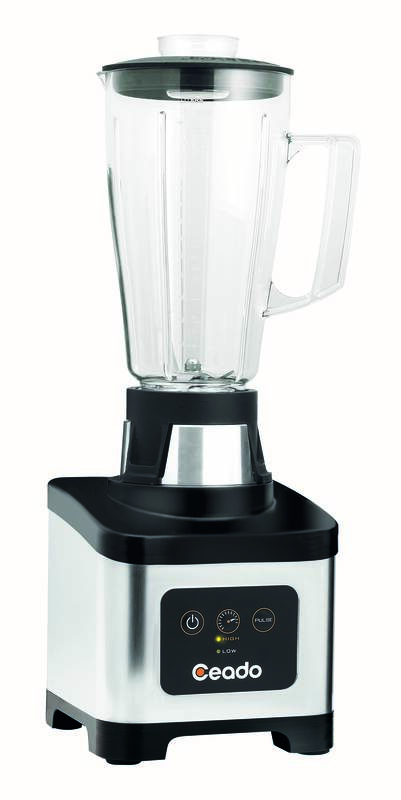 All the Ceado blenders come with 2-part rubber lid for adding ingredients during mixing and blending. 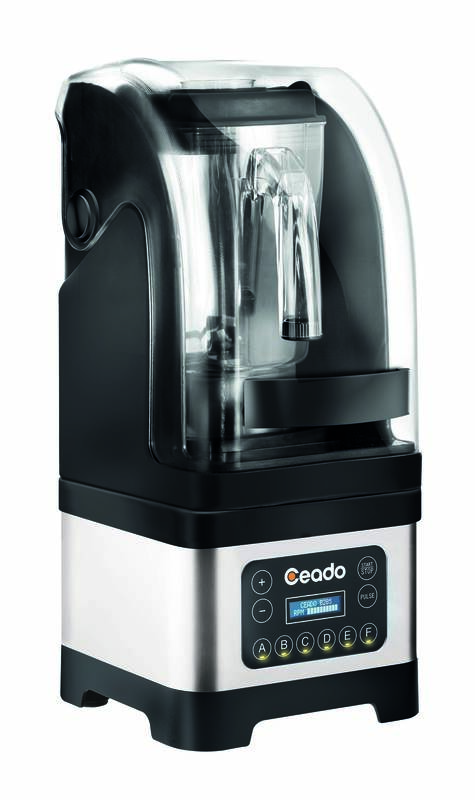 Ceado The B185 blender version with a 1.5 L stainless steel jug. You can select working speed and pulse mode. Two-section lid to add ingredients during mixing. The new fastening system secures the pitcher quickly and simply, reducing noise and increasing the durability of the parts. In case of wear, the joints may be easily replaced, no technical assistance needed. Ceado The blender was completely redesigned to achieve perfect blends even during the most intense working moments. The powerful 1300W (1.8 hp) motor is controlled with the brand-new easy pad. Ceado B283 is more intelligent and versatile than ever before, because it uses its power to give you a personalised experience. In addition to the manual function, it has 6 default cycles and 99 programmable cycles, to make smoothies, milkshakes and frozen drinks in a completely automatic way. 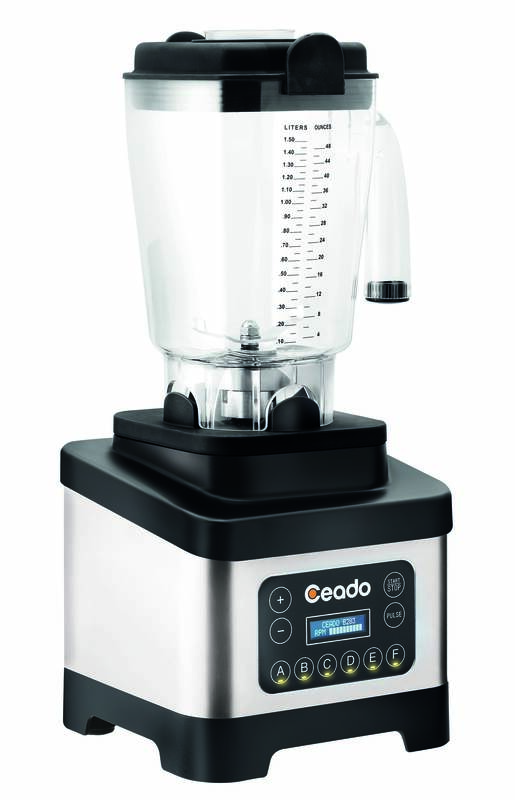 Ceado B285 is the new blender made to lower noise thanks to the Silent System cover, without sacrificing the powerful 1300W (1.8 hp) motor. The display allows you to select the automatic cycles, in addition to the manual mode.